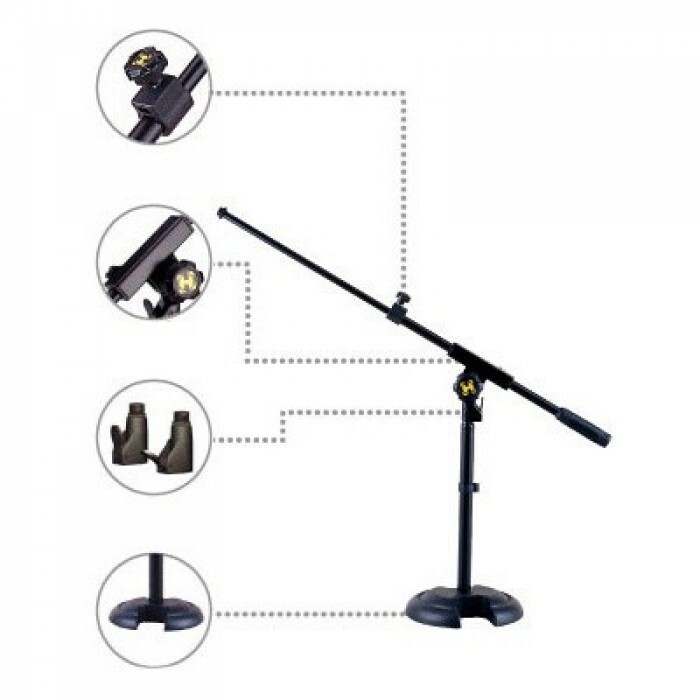 The Quick-N-EZ Boom Retainer quickly and securely locks to the floor stand. The Weighted HERCULES H-Base for exceptional stability with space saving design. 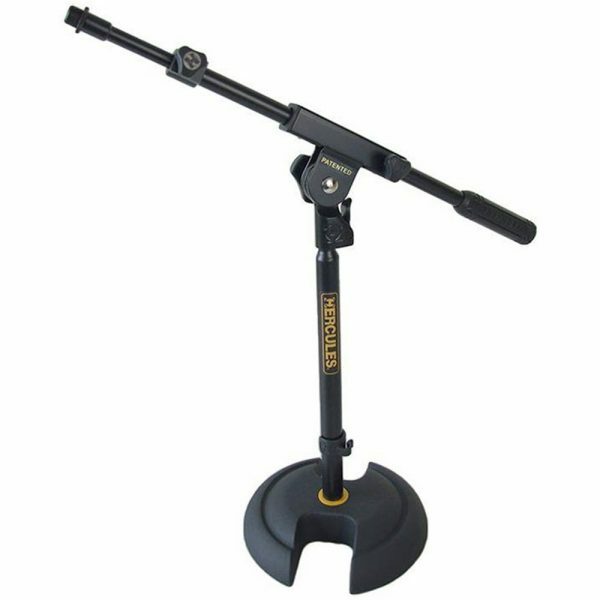 The EZ Adaptor Flip Clip quickly secures mic clip in place and fits all standard size mic stands.